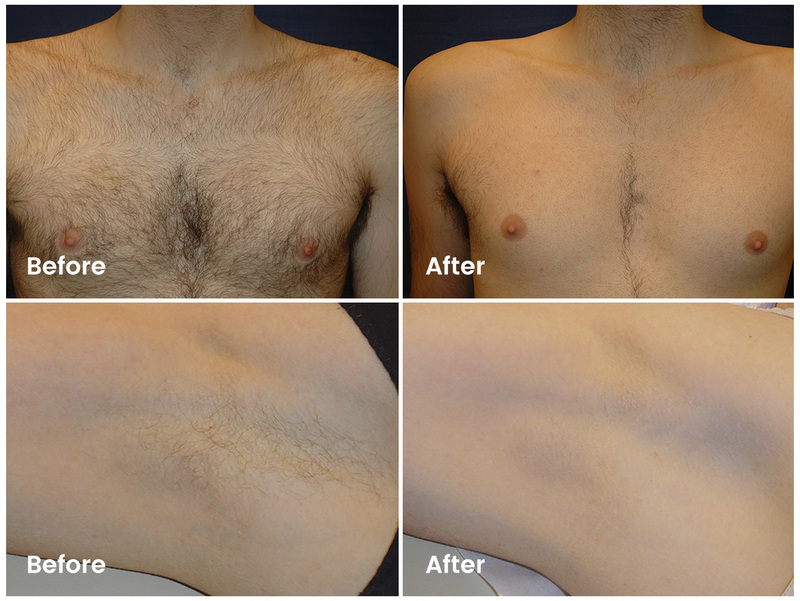 Soprano ICE laser hair removal is one of the most impressive and effective treatments we have ever seen. The revolutionary Soprano ICE Laser Hair Removal is the most effective laser hair removal treatment on the cosmetic market. By combining advanced cooling technology and Gold Standard (patented) laser techniques, Soprano ICE laser hair removal can give you painless, long term hair reduction. Soprano ICE has clinical results and it outperforms other global hair reduction treatments. In multiple clinical studies conducted by leading dermatologists, Soprano ICE laser hair removal has been proven as safer, equally or more effective, and results are considerably less painful than other laser hair removal technologies. It can also be used all year round on all hair and skin types. Soprano ICE laser hair removal cools the skin with an encircled sapphire tip, preventing surface burns while maintaining heat within the dermis. This high fluency delivery system provides an even more comfortable and faster treatment with improved results for light coloured and thin hair. A lighter and improved ergonomic design also means Soprano ICE laser hair removal is now even easier to use and can be used to treat smaller and difficult to target areas like the eyebrows, nose and ears. Why Should You Choose Soprano Ice? 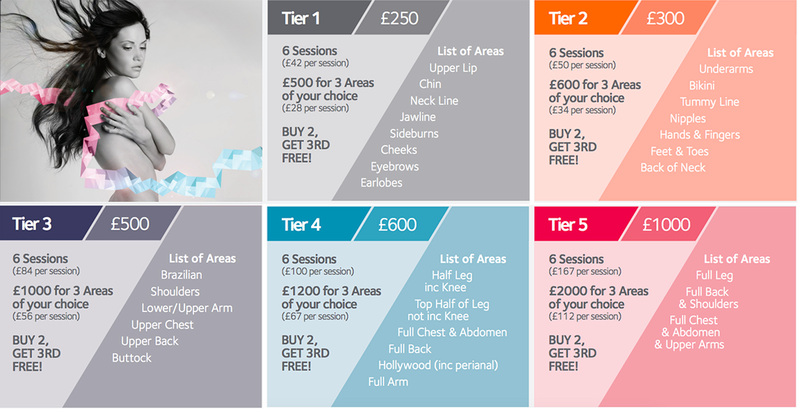 At Naturalaser, we offer a buy two areas for treatment and receive a third area free. Please see out rate card below for more information on prices. Soprano ICE treatment is suggested every four to six weeks for six to 12 months for optimum results. Please note: an essential patch test at the cost of £20 must be carried out prior to any treatment to determine Laser effectiveness and suitability for your skin. This cost is redeemable against the purchase of future Laser treatments. Is Soprano ICE Laser Hair Removal safe? Yes! Soprano ICE laser hair removal is completely safe with high quality equipment and experienced qualified therapists. Because the treatment uses only light (no chemicals, radiation etc.) there’s no damage to your skin and only hair follicles are affected. There is no radiation, no UV rays or nasty chemicals involved. Soprano ICE laser hair removal is virtually painless. Most likely! Soprano ICE laser hair removal can be used all year round on most hair and skin types. If your hair has pigmentation in it (i.e. light brown to black) this treatment will work for you.